You’ve heard about resveratrol, right? This anti-oxidant superstar earned the nickname “reverse-it-all” by health practitioners, and for good reason. You’ve probably heard the term “superfood” tossed around a lot in the media and online. But what exactly is a superfood and what is it that makes it so super? While not exactly a scientific term, superfoods generally include any all-natural foods that are considered to be more nutrient dense than other options. According to the American Heart Association, even though there’s not a worldwide accepted list of superfoods, most nutritionists and experts agree that superfoods are generally considered great for your heart and overall health when integrated into a balanced diet. So, how do grapes fit into the superfood family? The health benefits of grapes start right within the skin, where they contain phytonutrients — plant chemicals that contain disease-preventing compounds. Then, the health benefits extend to the fruit’s array of polyphenols, powerful antioxidants that fight a wide variety of cancers, Alzheimer’s and heart disease. The benefits hardly stop there, though. See how the humble grape can help these six areas of your body. Filled with Vitamin C and antioxidants, grapes can help to revitalize your skin. In fact, they can even protect your skin from cancer-causing ultraviolet radiation and free radicals that can, on a lesser scale, cause wrinkles and dark spots. The added Vitamin C is necessary for your skin to form collagen, which helps give your face that youthful firmness. Resveratrol is one health benefit of grapes that continues to impress! Studies by the University of Switzerland saw that the compound helps to fight against plaques and free radicals that can harm your brain and potentially cause Alzheimer’s. It also helps to increase blood flow to the brain, which increases your mental dexterity. 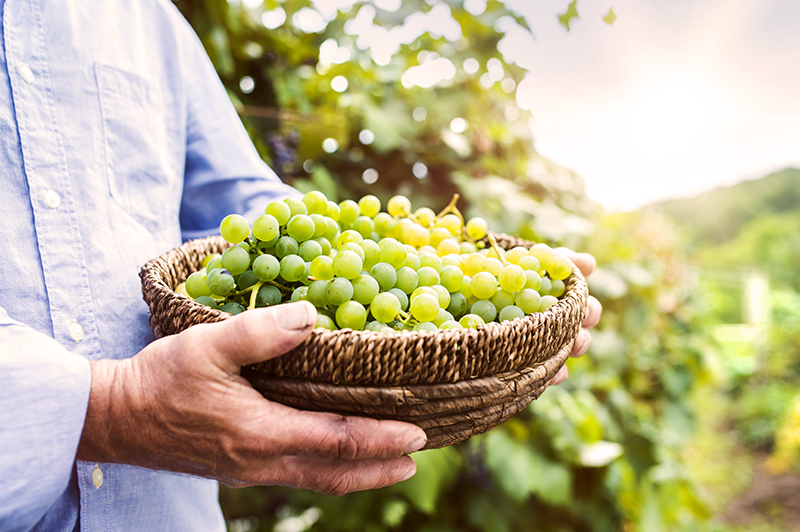 The complex carbohydrates found in grapes can give you a much-needed energy boost. Often enjoyed by runners, grapes are known by those in-the-know as a source of almost instant energy. They’re the perfect pre-workout snack! The health benefits of grapes extend to your heart (and that’s why many people say red wine is heart-healthy!). 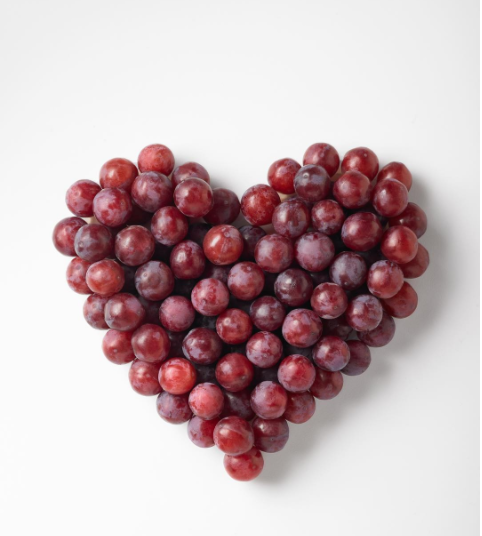 To get down to the nitty-gritty, grapes contain polyphenols that suppress atherosclerosis. What is that? Just a fancy term for a type of heart disease that results from buildup of cholesterol in the artery walls of the heart and brain — no good! The Vitamin A and lutein found in grapes can boost your eye health. While you’re probably familiar with Vitamin A, you may not be so much so with lutein. This is a substance found in a variety of veggies as well, and is collected by your retinas as a means to protect themselves against free radicals, which can cause unnecessary stress, damage and degeneration. 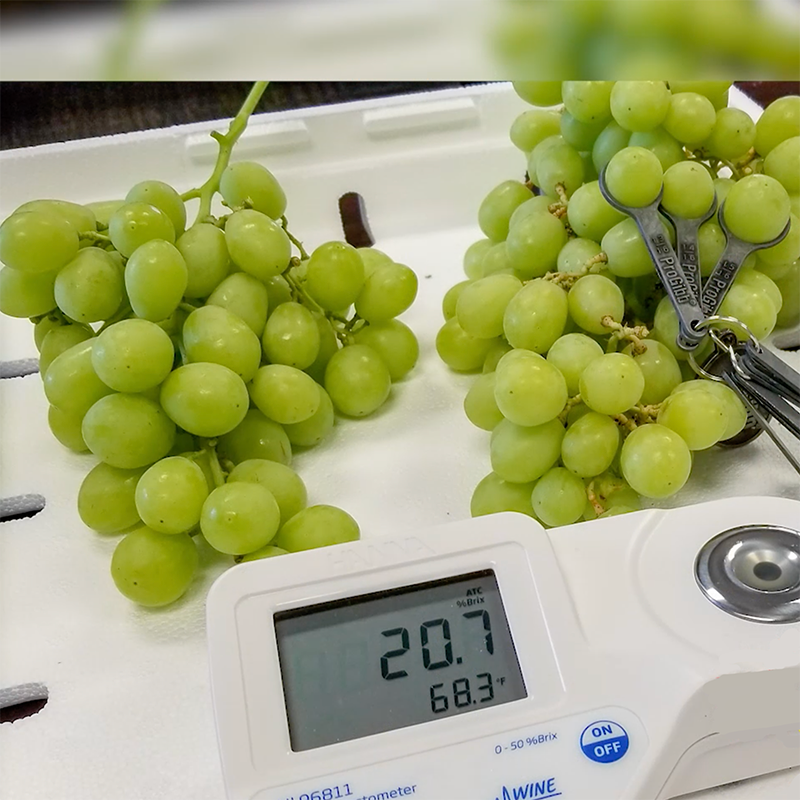 According to a study led by researchers at the Bascom Palmer Eye Institute at the University of Miami, grapes can also help combat eye disease. Last (but certainly not least) manganese is a health benefit of grapes that helps to strengthen your bones. What’s manganese? It’s actually a mineral already occurring in our bodies in small amounts. It contributes to healthy bones (through allowing your body to better absorb calcium and also creating essential enzymes to build bones), but also boosts your metabolism, regulates hormones and normalizes your blood sugar. So, ready to work some grapes into your diet? You’ll never doubt the power of these tiny superfoods again!